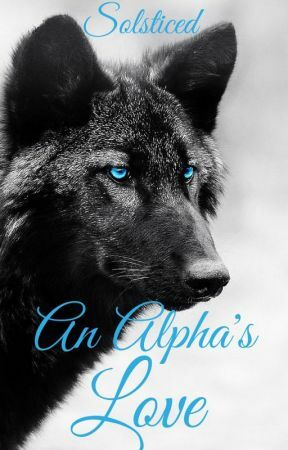 The Alpha, Axel, holds out his hand. Hesitantly, I reach out and shake it. Even though I know he won&apos;t attack me or anything, he still makes me a little nervous. His mate, Madelyn, also holds her hand out. I go to shake it, but she quickly pulls me into a hug. My eyes widen, but I hug her back lightly. "It&apos;s so good to finally meet you!" she exclaims when we pull back. "You too," I tell her with a smile, even though I&apos;ve only known about her for less than a day. She seems so nice that I don&apos;t want to offend her. I watch as Madelyn&apos;s eyes search through the crowd, as if she is looking for someone. Finally, her gaze locks in on someone to my left and a huge smile appears on her face. "Garrett!" Before I even know what is happening, she flings herself into Garrett&apos;s arms. I watch the two embrace with wide eyes. I glance over at Axel, only to see a small smile on his face. I&apos;m surprised; aren&apos;t male werewolves supposed to get super jealous, super easily? "I missed you," Garrett mumbles when they finally pull apart. "I missed you too!" she says, the smile not slipping from her face. "They are brother and sister," I hear Braxton&apos;s voice in my mind, giving me an explanation. He clearly noticed the confusion on my face. "Oh," I reply, my mouth forming an &apos;o&apos;. It makes sense... why Axel wasn&apos;t jealous of their interaction, and why I thought Madelyn looked so familiar. As I look between the siblings, I can definitely see the similarities. When Madelyn finally steps away from Garrett, she turns back to me. "Anyway, you want to get out of here? I&apos;m sure the boys have a lot of boring logistics to go over, and I&apos;m sure you have a bunch of questions about what it means to be a Luna!" I nod; she&apos;s totally right. "Stay close," Braxton warns. "We will be in my office." "Can we go to the lake?" Madelyn asks, looking over at Axel with hope-filled eyes. His gaze softens as he looks at her. "Noah and Garrett will accompany you," Braxton says after he gives us a curt nod. "As will Benjamin," Axel adds. "Awesome!" Madelyn exclaims. She walks towards Axel and the two share a quick peck on the lips before she comes back over to me. "I&apos;ll see you in a little while," Braxton murmurs, turning me slightly to face him. "I&apos;ll miss you." I blush at his words. Without thinking, I get on my tiptoes and press a quick kiss to Braxton&apos;s cheek, pulling away before he has even processed what has happened. I smile at his shocked, yet joy-filled, face before Madelyn loops her arm through mine and leads me towards what I assume is a lake. Garrett, Noah, and a red head who I assume is in Madelyn&apos;s pack begin to follow us immediately. "You&apos;re so lucky to be the Luna of Dark Eclipse!" Madelyn tells me once I&apos;m pretty sure our mates can no longer hear us, even with their werewolf ears. "Your territory is huge! And so pretty! It sure beats Idaho and Montana. Don&apos;t tell Axel I said that though." "How big is it?" I ask her. "I don&apos;t know the exact numbers or anything, but it&apos;s the largest territory in North America, by a lot," she explains. "Oh yeah," Madelyn nods. "Dark Eclipse has always been considered to be the most powerful pack. And now that your Alpha finally found you, everyone knows that you&apos;ll be stronger than ever. Let&apos;s just say I&apos;m glad Axel is on good terms with you guys."